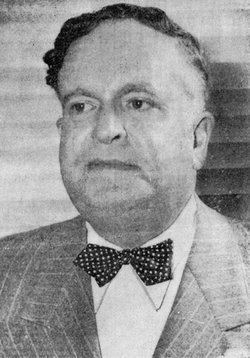 Leon Schlesinger (May 20, 1884 – December 25, 1949) was an American film producer, remembered for founding Leon Schlesinger Studios, which later became the Warner Bros. Cartoons studio, during the Golden Age of American animation. He was also a distant relative of the Warner Brothers. 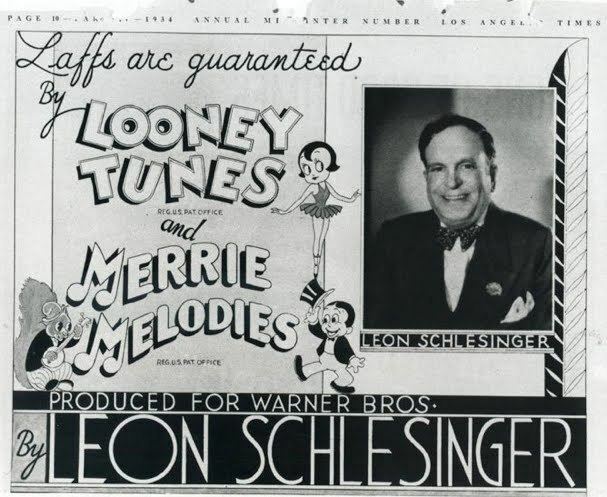 As head of his own studio, Schlesinger served as the producer of Warner's Looney Tunes and Merrie Melodies cartoons from 1930, when Schlesinger assumed production from his subcontractors, Harman-Ising, to 1944, when Warner acquired the studio. Schlesinger was born in Philadelphia. After working at a theater as an usher, songbook agent, actor, and manager (including the Palace Theater in Buffalo, New York), he founded Pacific Title & Art Studio in 1919, where most of his business was producing title cards for silent films. As talking pictures ("talkies") replaced them in 1929 and 1930, Schlesinger looked for ways to capitalize on the new technology and stay in business. Some film historians claim that he helped finance the Warner Brothers' first talkie, The Jazz Singer (1927). 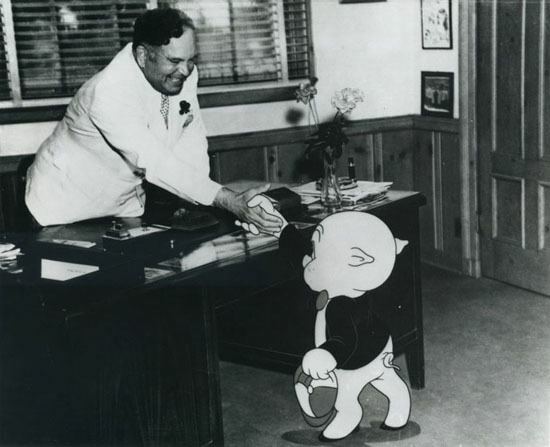 He then secured a contract with the studio to produce its brand-new Looney Tunes series, and he signed animators Hugh Harman and Rudy Ising to create these cartoons with their Bosko character as the star. Schlesinger's hard-nosed business practices cannot be overstated. His animators worked in a dilapidated studio (Avery's unit were briefly assigned to a bungalow they dubbed "Termite Terrace"), and Schlesinger briefly shut down the studio in mid-1941 when unionized employees demanded a pay raise. On another occasion, he boycotted the Academy Awards for what he claimed was preferential treatment for the Walt Disney and MGM cartoon studios. He also farmed some of the Looney Tunes out to his brother-in-law, Ray Katz, for tax breaks. Schlesinger was also known (among his animators, at least) for his lisp. One oft-repeated "official" story states that Mel Blanc patterned the voices of both Daffy Duck and Sylvester the cat on Schlesinger. 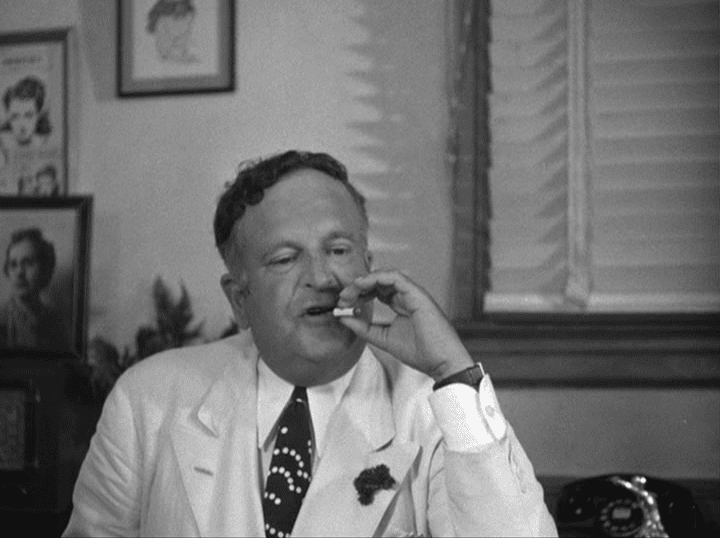 However, in Mel Blanc's autobiography, That's Not All Folks!, he contradicts that conventional belief, writing "It seemed to me that such an extended mandible would hinder his speech, particularly on words containing an s sound. Thus 'despicable' became 'desthpicable'." Daffy's slobbery, exaggerated lisp was developed over time.